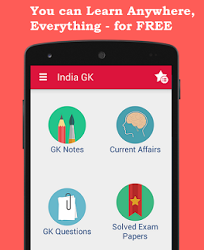 27, 28 July 2017 Current Affairs MCQs, Quiz, Questions: Current Affairs for July 2017, Daily Multiple Choice Questions (MCQs) for India GK, World GK and current affairs with Collection of daily objective type Question by www.Indiagk.net based on General Knowledge (GK) and General Science (GS) Questions for UPSC, State PSC, SSC, Police exam, Railway exam, SBI, Bank PO, IBPC, SSC, LDC, UDC, Army, Airforce, Navy, Coast Guard, Bank Clerk, TET and all entrance examination with current affairs News, Multiple Choice Questions (MCQs) available on Website www.IndiaGK.net and Android Apps with daily updates:. Nitish Kumar takes Oath as Bihar CM on 27th July for ------- Time? N. Dharam Singh dies on 27th July. He was former CM of which state? PM Modi inaugurates APJ Abdul Kalam's memorial at which Place? Prime Minister of which country resigns after Supreme Court order to disqualify him on 28th July 2017?